I love to be in the woods or at the river in the summer. In the evening, we often make a little fire and enjoy staring into the flames. 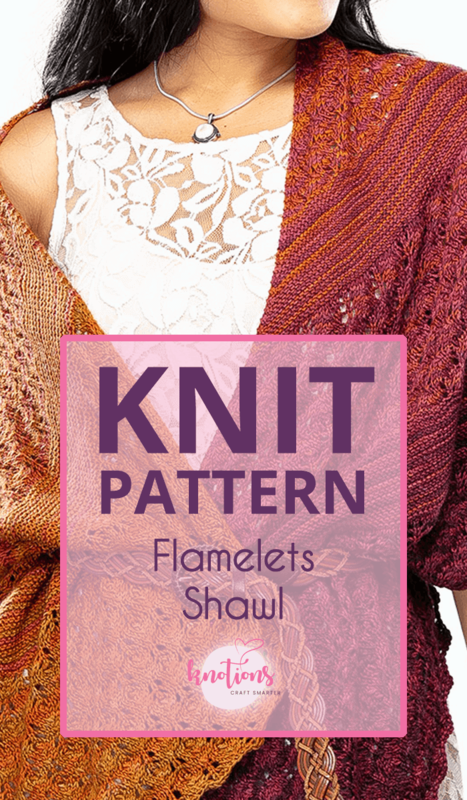 The little blue fire flamelets on the hottest spots of the fire inspired me to create this knitting pattern. 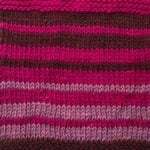 To represent the variation and shades of the flamelets, I chose to knit it in a beautiful gradient. 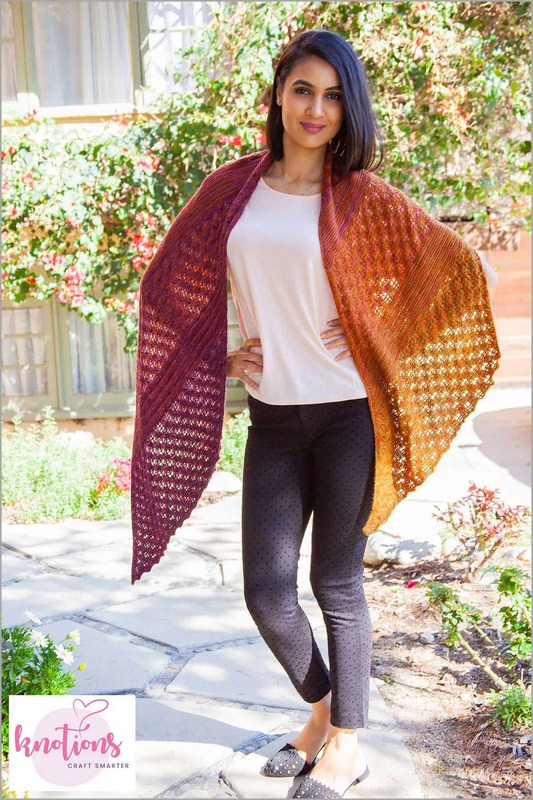 The flamelet shawl is a straight shawl, shaped diagonally by increases and decreases. 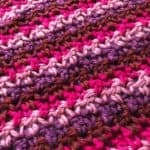 It’s designed for gradient-dyed yarn and can be knitted as long as preferred. 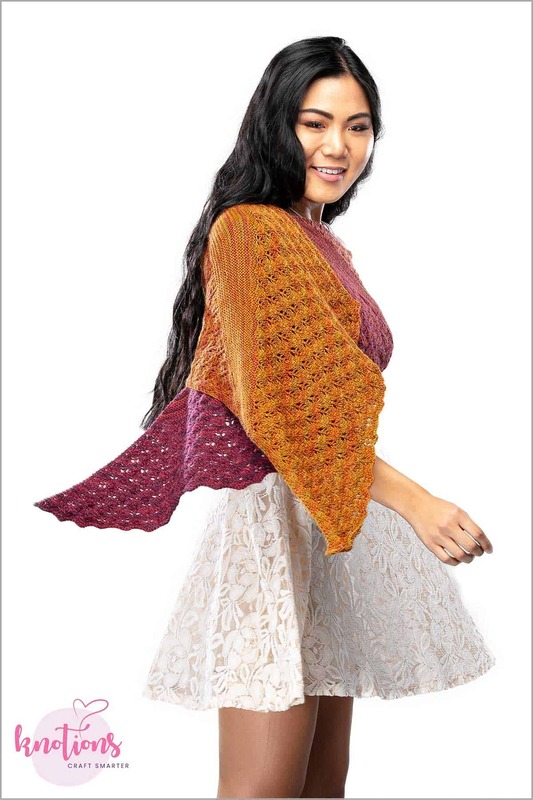 It begins with a lace section in the darkest color (1C) of the gradient. 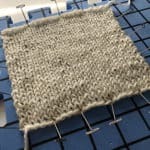 The next section is a garter stitch band that alternates between the darkest and the second darkest color (2C) for 32 rows. 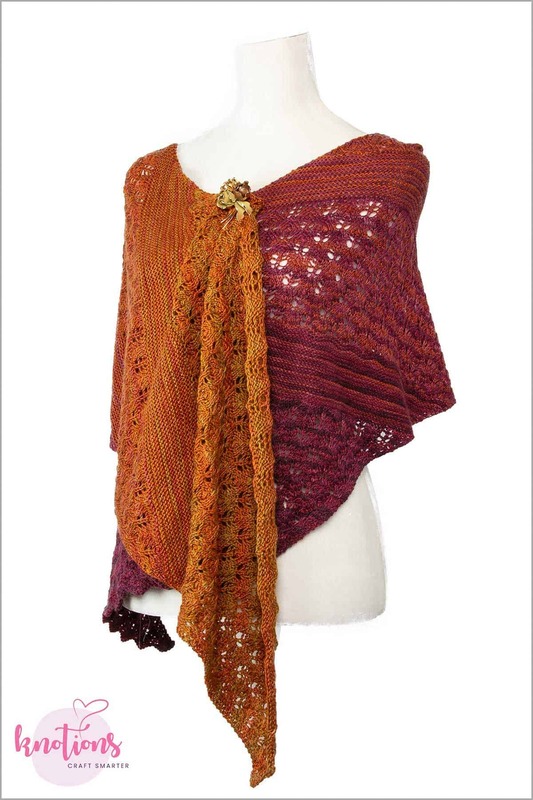 In this manner, the shawl will be worked from the darkest to the lightest color. The construction ends with the last color (5C) and a lace section. Unique Sheep Pashmi Gradiance in Phoenix Rises (1,100 yards [1005 meters]/250 grams, 80% Superwash Merino Wool, 10% Cashmere, 10% Nylon), 5-color base. 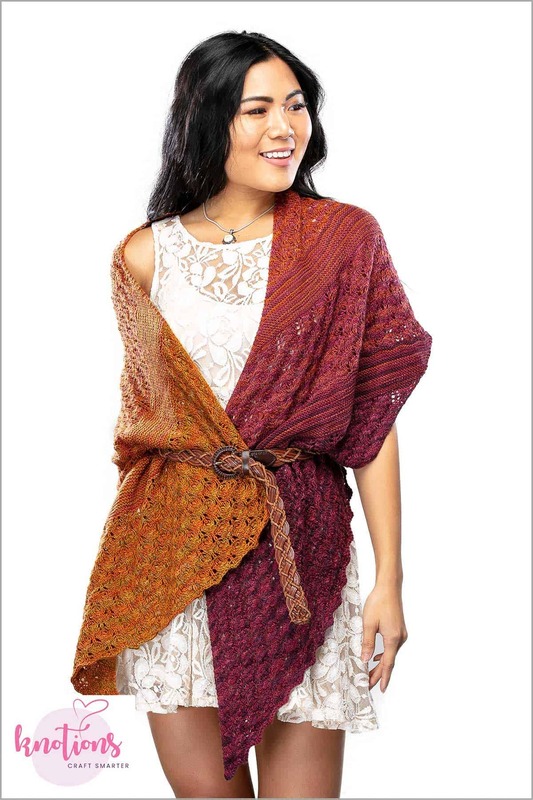 The sample knitter used most of the entire set of yarn. Colors are referred to as 1C to 5C, from darkest gradient color to lightest. Thanks to The Unique Sheep for providing the yarn and to Judy for knitting the shawl! 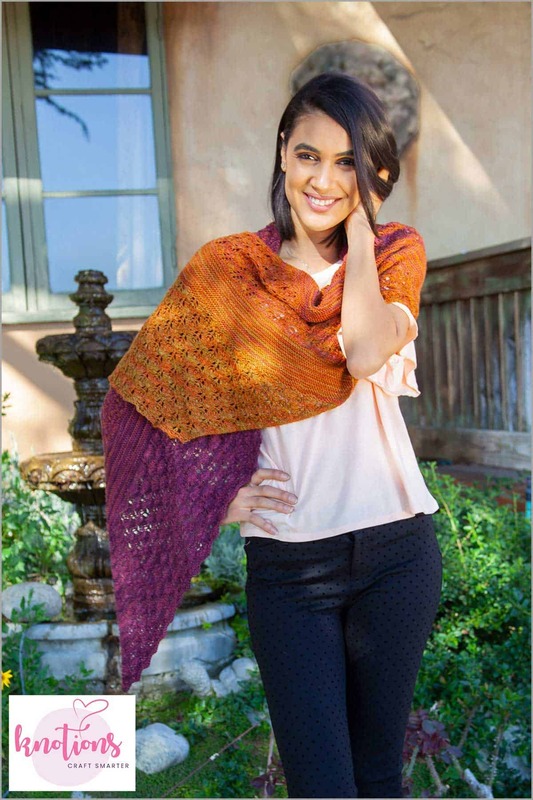 If you have more yarn, you can customize the shawl and knit it longer by working more repeats of the lace chart with each color. Just make sure you stop when you have about 8g left so you can work the garter stitch section. 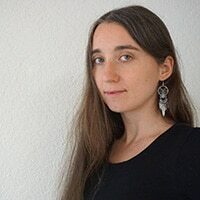 I was born as Asita Ganga Krebs in 1983 and I’m a knitwear designer, spinner and dyer who lives in the countryside of Bern, the main city of Switzerland. 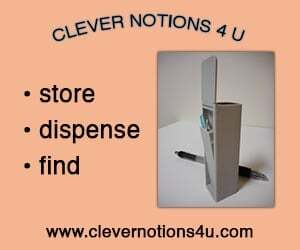 In addition to my passion, I work a few days per week in IT support and technical maintenance. Knitting is perfect for balance in my life. 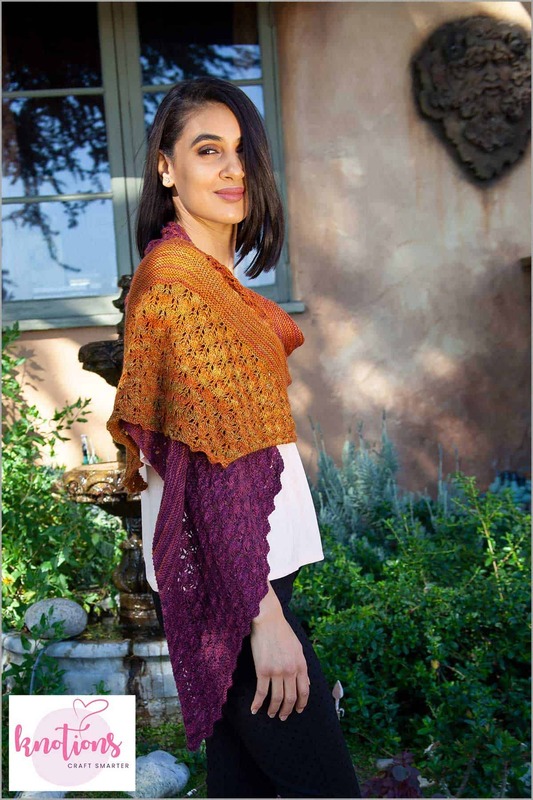 I’m mostly known for easy and simple patterns with an eye-catching cable or lace section like my most famous pattern, the Celtic Myths Shawl. I’m also known as Sidi from sidispinnt.ch.